Well, this is one of the weirdest. 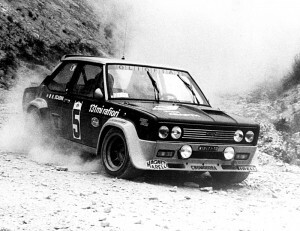 I know only one rally its been used at, Rally 4 Regioni 1976 by Verini/Scabini. What makes it even weirder is the car dont have G number on windshield, but it has M2 number in the windshield. Cause the age is close to correct, I thought it may still be the 2nd car at works team. I cannot tell, but I was thinking maybe this is one of the preversions they used at 1975 with the different fenders and spoilers.